Through a network of cables and pipelines, Enexis provides 2.7 million households in the north, east and south of the Netherlands with electricity and natural gas so that people can live and work comfortably. To enable this, Enexis maintains its existing network, builds new parts and develops sustainable and future proof solutions. Service and reliability are key. To attain high service and reliability levels, Enexis is further professionalising its supply chain management activities. To serve its customers better, Enexis strives for short lead times whilst maintaining high efficiency. This can be achieved by ensuring that both materials and employees are available in the right place at the right time. To be proactive, with Involvation’s help, Enexis is introducing Enexis-wide tactical planning with a horizon of at least 18 months. Efficiency will be improved by strengthening and developing operational planning at Enexis’ 10 sites throughout the country. As a result, business partners and customers alike can continue to depend on Enexis. The Walraven Group, with its headquarters in Mijdrecht, the Netherlands, is an internationally active enterprise with its own production facilities and sales offices in various countries. Walraven products are used by tens of thousands of installation companies in Europe, North America, Latin America, Africa, the Middle East, Asia and Australia. Availability is very important for its customers. Therefore Walraven is continuously working on supply chain improvements. Walraven has asked Involvation to help reviewing the current supply chain concept. Daelmans Banket produces caramel waffles, coconut pastry, cakes and speculaas biscuits and is a leading manufacturer in the Dutch national and international cakes and pastry industry. In three production facilities pastry is manufactured for national and international private labels. 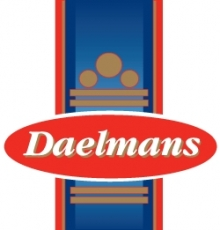 Daelmans continuously works on improving its products and service. To facilitate the expected growth in the upcoming years, Daelmans has asked Involvation to assist in improving and shaping its supply chain. 2 Sisters Storteboom B.V. is a division of the UK based 2 Sisters Food Group Ltd., a major diversified UK and European food company supplying Poultry, Red Meat, Fish, Chilled, Bakery and Frozen products to the retail, food service and food manufacturing sectors. 2 Sisters Storteboom continuously addresses the improvement of her customer service. With her relative long throughput times and short shelf lifes, a professional supply chain management is a premise for success. After assisting 2 Sisters Storteboom with setting the next step in supply chain management, 2 Sisters Storteboom has asked Involvation for support with the redesign of her Supply Chain Organization. Liander is responsible for the construction and maintenance of the electricity and gas network in a large part of The Netherlands. Her mechanics are a key component in these processes. A reliable availability of tools and materials is essential for an optimal deployment of these mechanics. Liander has asked Involvation to collaborate in the efforts for improving the availability of tools and materials for her mechanics. Bavaria, a beer brewer of Dutch origin, is active in over 120 countries spread across the globe with great success. In order to help Bavaria achieve their ambitious future plans, Involvation has helped to design a new Supply Chain Strategy in 2012. This new strategy is now being implemented in 2013. Involvation has been asked to stay closely involved in the implementation projects that are currently being executed. Involvation was asked by Hessing Supervers, specialist in vegetables and fruit, to inspect and redesign the way the entire supply chain was controlled. Designing the new way to control the supply chain is done by finding answers to questions like: which decisions are required with which horizon, detail, and frequency? What is required to make these decisions? In the supply chain control design extra attention is given to forecasting methods. DMunB supplies all ammunition used by the army, navy and air force. They are responsible for this task in both times of peace and times of war. DMunB has asked Involvation for support in the process to centralize the control over the ammunition chain that is used by all companies under the Ministry of Defence.